'Boron', as an Oxide of the metal, is used as a Dry Rot treatment chemical in the form of a white powder, dissolved in water. This clear, odourless solution soaks into wood, plaster, bricks and mortar to kill the Dry Rot fungus. 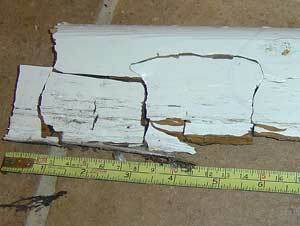 Boron is unique in being capable of stopping the spread of both Dry Rot and Wet Rots, as well as killing many types of wood boring insects. It is used worldwide and has a long history of safety as a wood preservative. 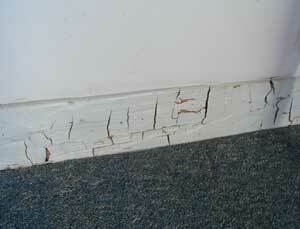 What is the difference between Wet Rot and Dry Rot - why does it matter which type of rot you have?